Ken and Virginia Bloom began making wine in 1998, and as amateur wine makers won First and Second Place at the Western Washington State Fair in Monroe; Best of Show at Island County Fair; First and Second Place and also The Best of Show for non-grape wine (Ambrosia) at The Puyallup Fair. 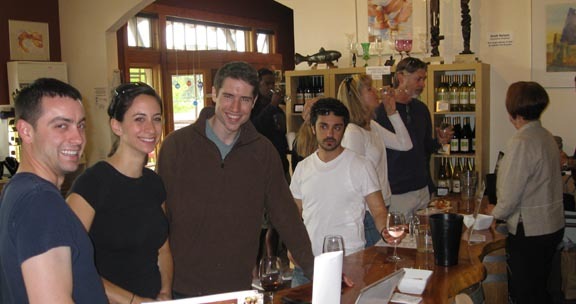 The winery became licensed in 2003, and has continued to win awards over the years, as you can see from the list below. Keep up with Blooms latest news and awards below. The Savor Northwest Wine Awards gave our new release 2015 Petit Verdot a DOUBLE GOLD medal, and the judges gave it a 95 Point rating! See the review here. They also gave a Silver to the 2015 Merlot and soon to be released 2014 Malbec a Silver. Seattle Wine Awards gave the upcoming (not yet released) Poetic and Melange both Silver Medals. The 2017 Seattle Wine Awards results are in and Blooms Winery was awarded three new GOLD Medals! The 2014 Melange that was just released won Gold, as did the 2013 Syrah that is served in the local restaurants, and the Ruby port! Our 2015 Semillon won a Silver Medal, it will be released later in the year. 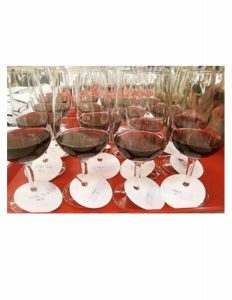 The Wine Press Northwest Platinum judging, which is made up of wines from the Northwest that have achieved Gold status or above, rated the three Gold Medal winners above and awarded the 2014 Melange a Double Gold, and the 2013 Syrah and 2013 Ruby each Gold. The Winter 2017 issue of Wine Press Northwest features Malbecs, and our current release – the 2013 Malbec, was awarded a “Recommended” rating and the 2014 Malbec (which will be released after the 2013 is gone) was given an “Excellent”. In the Fall 2016 issue the feature “Affordable Reds” includes four of Blooms red Wines! Our 2012 Syrah was rated “Excellent” as was the 2012 Melange and the 2013 Charmant, and the new 2014 Merlot got a “Recommended” rating. The Winter issue of Washington Tasting Room magazine chose Blooms 2013 Poetic as one of the Top Picks in Red Blends in their article :The Art of the Blend! (see side bar). 2016 was the second time Seattle Wine Awards awarded us two wines Double Gold status – that is correct, TWO DOUBLE GOLD winners! The 2013 Poetic and the 2014 Beach Cabin White were both Double Gold, and the 2013 Malbec won a Silver, while the 2014 Viognier and 2014 Pinot Gris were awarded Bronze Medals. In 2015 Blooms Wines were again honored with GOLD Medals, two at the San Francisco Chronicle Wine Competition for the 2012 Syrah and 2012 Malbec. The 2013 Petit Verdot won a GOLD Medal at the Northwest Food & Wine Competition, while the 2013 Charmant, 2014 Calla and 2014 Semillon took Silvers.The 2012 Poetic took a Silver at the NW Wine Awards and 2012 Melange won Silver at the Seattle Wine Awards. In 2014 the 2012 Malbec won a Silver Medal in Japan’s Sakura Awards, the 2012 Viognier and 2009 Cabernet both won Silver at San Francisco Chronicle, the Ruby Dessert Wine won Silver at Seattle Wine Awards, and 2012 Beach Cabin won Silver, Duet won Bronze at the NW Wine Awards. We were excited to have 2013 Seattle Wine Awards place our 2012 Blush – a Syrah Rose, with a Double Gold as well as our 2010 Poetic. That’s right, TWO DOUBLE GOLDs! Our Amber dessert wine and the 2011 Syrah both won SILVER medals! 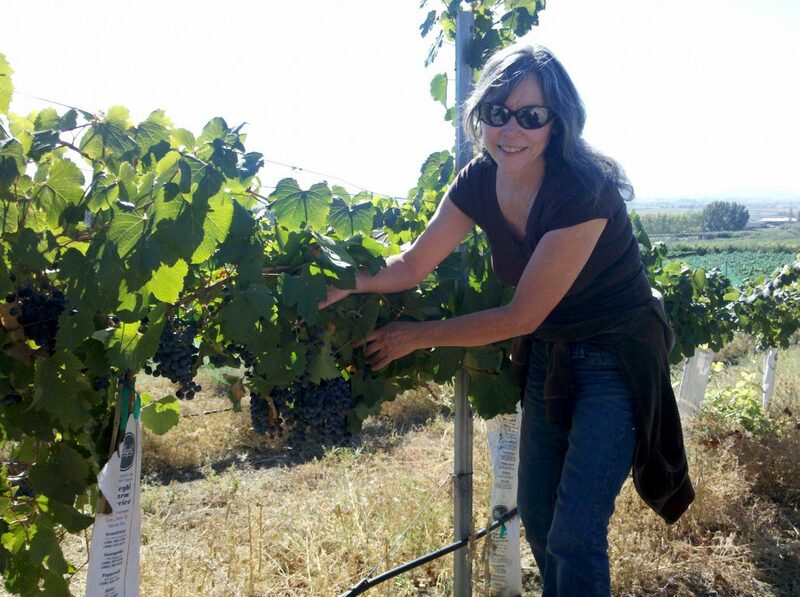 We have always been proud of the wonderful Syrah we get from Julie Bosma in the Rattlesnake Hills region of the Yakima Valley, and when the 2010 got a 90 Point rating from Wine Spectator (April 30, 2013 edition) we have even more reason to be proud! Washington Tasting Room Magazine Spring 2013 issue has a fabulous article, 10 pages with great photos, of all the wineries on Whidbey Island and what a great place to visit and taste wines we are here! Blooms Winery was honored with the 2013 San Francisco Chronicle Wine Competition, where the 2008 Bloom Vineyards Cabernet won a Silver Medal, the 2010 Melange, our Washington red blend, won a Silver Medal and the 2011 Snipes Mtn. Semillon won a Bronze Medal. The 2012 Seattle Wine Awards chose the 2010 Syrah as a DOUBLE GOLD Medal winner, and the 2010 red blend Melange as a GOLD Medal winner! The 2012 San Francisco Chronicle Wine Competition gave a Silver Medal for our 2009 Syrah. The Syrah was also rated by Wine Press Northwest as “Excellent”. They referred to the flavors of the Syrah as “raspberries over chocolate”. We were also awarded a Bronze medal for the 2005 Bloom Vineyards Cabernet in the same competition. We received a Gold Medal for the 2006 Bloom Vineyards Cabernet at the Mendocino County Wine Competition, the longest running wine competition in CA. At the San Francisco Chronicle Wine Competition in January of 2011 the three wine entries sent in by Blooms were all awarded medals, including the prestigious Double Gold for our Washington Red Blend Poetry, and Silver medals for the 2007 Bloom Vineyards Cabernet and the 2009 Calla, our white Bordeaux style blend. Over 5000 wines entered from 23 states in the largest wine competition in the country. A special Northwest Travel section in the Seattle Times 12/10/17 features the Bayview Corner and Blooms Winery Tasting Room. Blooms was thrilled to have Q-13 Fox come to the winery to film a bottling session, and talk about Whidbey Island as the next Wine Destination! Check out the video here. 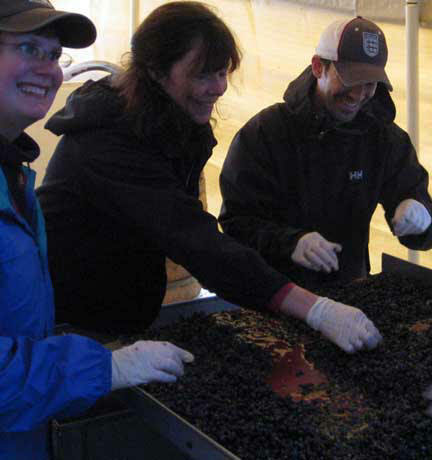 Ken and Virginia Bloom began making wine in 1998, and as amateur wine makers won First and Second Place at the Western Washington State Fair in Monroe; Best of Show at Island County Fair; First and Second Place and also The Best of Show for non-grape wine (Ambrosia) at The Puyallup Fair. The winery became licensed in 2003, and has continued to win awards. They include a Gold Medal for the 2006 Bloom Vineyards Cabernet, plus two Silver medals and a Bronze medal at Mendocino County Wine Competitions; two bronze medals from Northwest Wine Summit 2008; a Silver and a Bronze from the 2010 Seattle Wine Awards and a Double Gold and two Silvers from the San Francisco Chronicle Wine Competition 2011 and another Silver and a Bronze in 2012. The 2013 San Francisco competition awarded Blooms two more Silver medals for the 2008 Bloom Vineyard Cab and our Melange, and a Bronze medal for the 2011 Semillon. Wine Spectator gave the 2010 Syrah a 90 point rating in the April issue 2013, and in the 2013 Seattle Wine Awards Blooms Winery received two more Double Gold medals – one for our Blush (Syrah Rose) and one for Poetic (red blend of Petit Syrah, Malbec and Syrah) and two Silver Medals, one for the 2011 Syrah and one for our dessert wine Amber! Our 2004 Bloom Vineyards was chosen by wine writer Gene Stein as the best Cabernet at the 2006 Taste Washington wine event; and was written up as the best Cabernet on Whidbey by Seattle Times Wine Writer Tan Vinh in 2008.